Families from the neighborhood gather for a children's hard hat tour, June 2018, including community leaders and park advocates Ricardo Miguel Martinez, Managing Director, The Ad Hoc Agency; Daniel Calvert, Urban Planner, City of Atlanta; Project Manager Patrick Hand, Founder, Integrated Design; Juan Ramirez, Founder, Fourtune Entertainment; Jose M. Osorio, Teacher of the Year and Dresden Elementary School Assistant Principal. An interfaith vigil was held June 2018 to offer spiritual support to the families at the border and those affected in the Atlanta community. It was supported by the Sanctuary Movement of Atlanta and the Latino Community Fund Georgia. With special thanks to: Rev. Tom Hagood, Columbia Presbyterian Church; Rabbi Alexandria Shuval-Weiner, Temple Beth Tikvah; Rev. Fabio Sotelo, St. Bede's Episcopal Church; Rev. Leigh Campbell-Taylor, Oakhurst Presbyterian Church; Amin Tomeh, Islamic Speakers Bureau of Atlanta; Rev. Chris Morgan, Riverside Church; Rabbi Steve Lebow, Temple Kol Emeth; Deacon Juan Sandoval, The Cathedral of St. Philip; DREAMer Katherine Narvaez; LCFG Founder Gigi Pedraza. 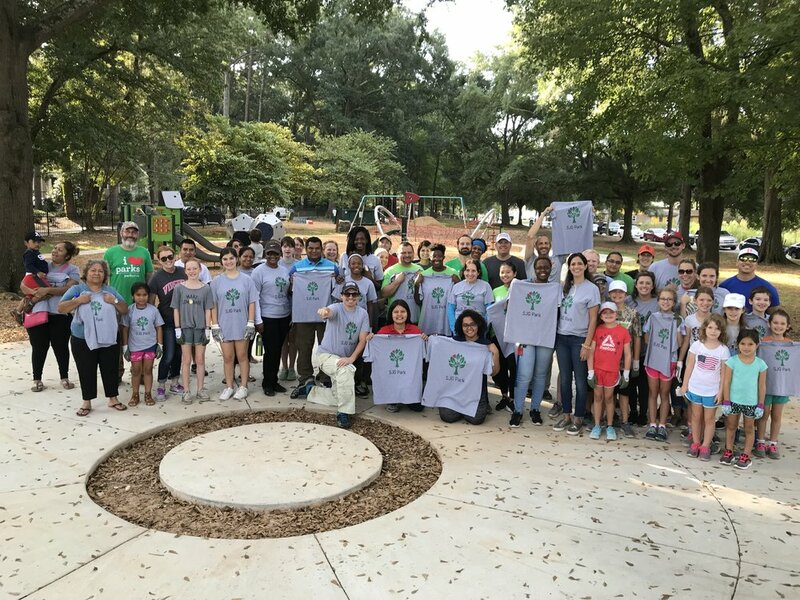 September 8th saw neighbors, community leaders, families and friends come out to help beautify the park in preparation for the ribbon cutting later this fall. Special thanks to Park Pride, Edens, City of Atlanta, Georgia Power Foundation, Cox Enterprises, Publix, Welcoming Atlanta, Ricardo Martinez of Ad Hoc Agency, the Latin American Association and many others including Steering Committee member Claire Johnson who made the beautiful shirts!